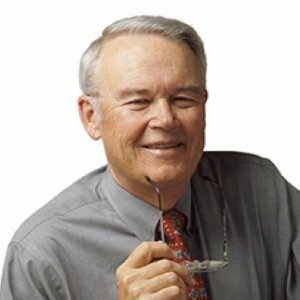 Marketing Professor Emeritus David Aaker is widely considered the father of modern branding. His pioneering work focused on defining brand equity and detailed ways to build and manage brands and portfolios. He has published more than 100 articles and 18 books on the theory and practice of marketing—including eight on branding—that have sold more 1 million copies and were translated into 18 languages. Aaker's first brand book, Managing Brand Equity (1991), gained attention because it defined brand equity at a time when there was no accepted definition. His second book, the bestselling Building Strong Brands (1995), developed his brand identity model, The Aaker Model, which is used by hundreds of firms to build and strategically manage brands. Other influential books followed on brand leadership, portfolio strategy, and relevance. His latest book, "Creating Signature Stories," was published in 2017. Aaker serves as Vice Chair at Prophet, a global marketing and branding consultancy. In 2015, he was inducted into the American Marketing Association Hall of Fame for his lifetime achievements in marketing. Firefly is a San Francisco startup that places digital screens on ride-hailed vehicles. Outdoor advertising is generally a healthy segment because it’s not as cluttered as other media, although the ads risk being distracting and intrusive, said David Aaker, E.T. Grether Professor Emeritus of Marketing & Public Policy. Facebook announced that hackers gained access to nearly 30 million users' accounts and personal data in a security breach that the social media company originally said might impact up to 50 million accounts. "The first job is to accept responsibility. And I think the first Facebook response has been kind of tepid," said David Aaker, an author and international expert in branding who serves as Vice-Chair for Prophet. As any great brand will tell you, reputation is the lifeblood of a business, and Prophet’s reputation pulled the company into a lot of big markets with big clients. 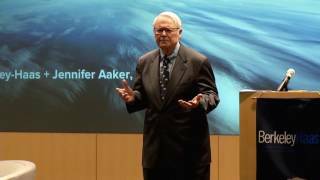 More specifically, Prophet’s vice-chairman David Aaker has a reputation as a well-known academic and a prolific author with a number of reputable books concerning brand strategy under his belt. The Budweiser Clydesdales are the heart of the beer's brand, said David Aaker, E.T. Grether Professor Emeritus of Marketing and Public Policy. “The Clydesdales are a great example of how a symbol can be the vehicle to help create a story and to keep it alive,” he said. 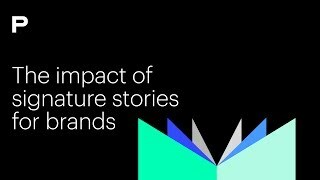 Business gets more tech-driven by the day, but one of the most powerful emerging tools in branding is storytelling, a skill as old as time itself. We’re not talking about user-generated stories, like those fueled by Snapchat, Instagram or casual content-marketing campaigns, but of signature stories that build brands. In his new book, Creating Signature Stories: Strategic Messaging that Energizes, Persuades and Inspires, Prophet Vice Chairman David Aaker explains why these narratives—tightly connected to brand purpose—are so effective. Some Uber and Lyft drivers are turning their cars into mobile billboards, which could prove a dubious venture. "If you get in early on one of these things, you might get a whole bunch of social energy—people talking about it," said David Aaker, E.T. Grether Professor Emeritus of Marketing and Public Policy. "However, that will get old fast." A family name can give a company a story that it can use to get noticed. "Facts don’t work. People counterargue. They’re skeptical. But if you tell them a story, that all goes away," said David Aaker, E.T. Grether Professor Emeritus of Marketing & Public Policy. In the globalized, consumption-fired 21st century, branding is the air we breathe. A few decades ago, a brand was often little more than a label, at worst an advertising gimmick used to pitch dubious medications and toxic hair gels. Today, it is the fulcrum of highly complex value systems—philosophical constellations in an edgy marketing cosmos, with its nerve centers in California, New York, and the major capitals of Western Europe, Asia, and Latin America. 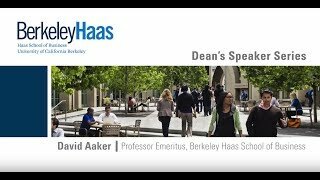 The Plato and Newton of that volatile universe is David Aaker, a congenial professor emeritus of UC Berkeley’s Haas School of Business, born and raised in the placid calm of Fargo, North Dakota.